This past Sunday, Durf and I moseyed on down to Reggie's in Chicago's South Loop to check out a concert of the heaviest order. Boasting Ulcerate as the headliner, the show also featured Iceland's Zhrine. 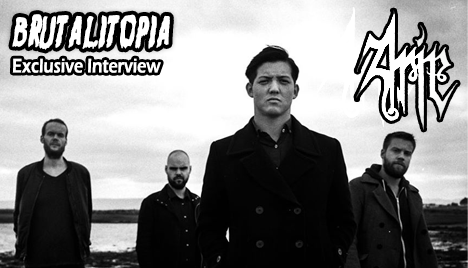 Being pretty big fans of the band's debut full length, Unortheta, we were determined to sit down with them for a chat about their very first tour ever. Mick : You guys are now about at the end of your North American tour. How has it all been? 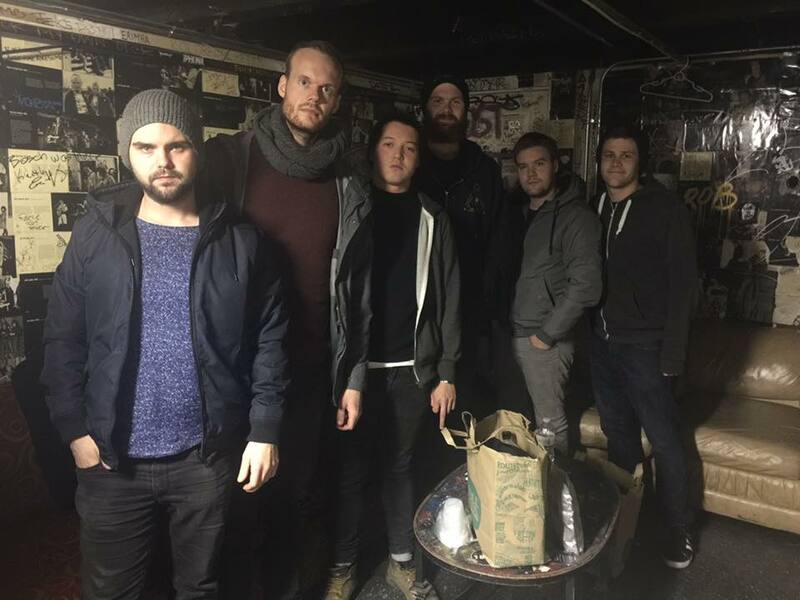 Nökkvi : This has been our first time touring ever and it’s been amazing. We’ve seen a lot of cool things and have had a wonderful time. Mick : Have the crowds been receptive to you guys and the music overall? Nökkvi : Absolutely. Every single night. It’s kind of astonishing. I saw this guy actually dancing in Trenton in front of the stage. Pretty funny. Mick : What have you guys noticed are the biggest differences in playing North America versus playing in Iceland or Europe? Þorbjörn : We’ve been playing pretty much to the same crowds in Iceland for the past eight years, so the biggest difference for us is that each day we don’t know what to expect. It’s all new to us and it’s been fun. Durf : What’s your favorite city that you guys have played so far? Þorbjörn : El Paso (band laughs). Durf : There sounds like there’s a good story there. Þorbjörn : We had no idea where to find the venue. But once we arrived, it was this abandoned warehouse with a skate park. It was a really do-it-yourself gig. We played the show to probably 15 people and some skater kids. But we just got hammered and it was fun. Mick : We’re admittedly not as familiar with the Icelandic metal scene. Was it particularly easy or hard to try and make it as a metal band in Iceland? Þorbjörn : Well it was easy for us because we’re so good (band laughs). Nökkvi : The band we used to have before Zhrine released I think what was only the second full length death metal album to ever come out of Iceland. The first one came out in 1991, but since then bands pretty much only did small Eps and demos. Durf : I feel like I’ve been noticing more black metal bands coming out of Iceland. Have you guys noticed the scene burgeoning over the past few years at all? Þorbjörn : The scene in Iceland is so inbred. It’s always the same people changing directions all the time. There’s no new people coming into it. Nökkvi : Yeah. For you guys, you may hear about this one guy or band, but chances are good we’ve known about him for a long time. Mick : Are there bands that you guys wanted to influence Zhrine’s sound or was that never even brought up? Þorbjörn : That was never a thought. We’ve been playing together a long time; just playing basic death metal stuff. But we were always experimenting. The stuff you hearing now off the new album is what came from that experimentation. That just came naturally to us. There was never a thought about other bands. Durf : So with this tour wrapping up and your new album having been out and doing well, it’s obviously time to start looking to the future. What’s next for you guys? Nökkvi : We’re playing a festival in Iceland in February and then have some more shows in Europe. Hopefully we’ll get to write more stuff during that time. But touring and more shows is primarily what we have planned. Mick : Do you guys have an ideal lineup that you’d like to play? If you had three other bands to play one show with, who would they be? Nökkvi : I don’t know guys, that’s a heavy question. Þorbjörn : I can’t think of three either, but I would like to play with Godspeed You! Black Emperor. Durf : So I have to preface my final question with another question that may throw it off the rails, but are you guys familiar with the movie The Mighty Ducks about the kids hockey team? Nökkvi : Oh yeah, with the Icelandic team. Durf : See Mick! I told you they would know about it! So obviously, the Iceland hockey team were the bad guys in that movie, at least from our perspective. Do you feel that was a fair representation of Iceland? Nökkvi : No. Hockey is not really popular back home. Nobody really cares (laughs). Don’t we have two teams? Þorbjörn : No. Three. It’s the smallest league in the world though. You’re right, nobody really cares about it (laughs). Durf : Well I feel incredibly vindicated asking that question. Mick : Thanks for the interview guys. Post-interview picture. Looks like we're now officially a part of the band.